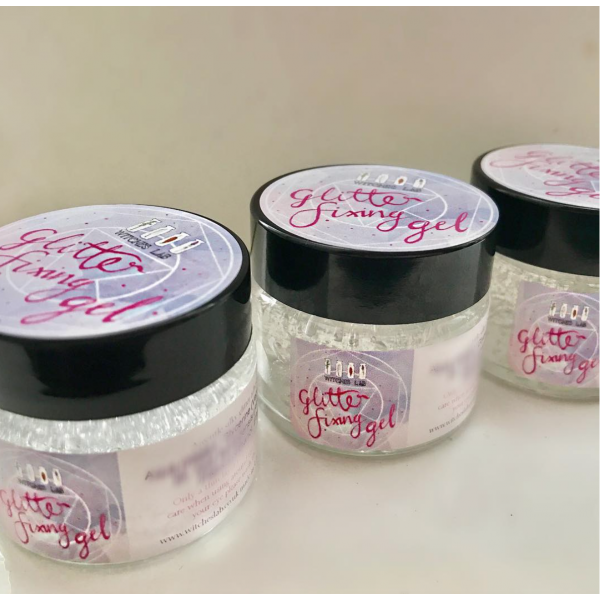 Witches Lab Loose Glitter Fixing Gel is Vegan friendly and contains minimal ingredients mostly natural to avoid irritation to the skin. A little goes a long way with this product and you only need a very thin layer to get the desired effect. It is splash proof. It can be used with pigments, fine loose glitters and even chunky glitters. 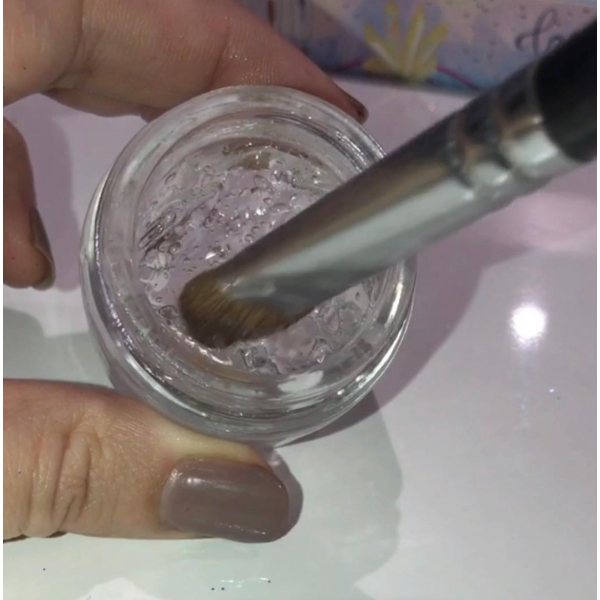 To use pick up a small amount of gel with a clean brush so you do not contaminate your pot with different coloured glitter and apply a very thin layer to the desired area, then pick up your glitter (you can use a small amount of gel on the brush to pick up the glitter) and press onto the gel on the skin. Allow it to dry. The thinner the gel on the skin the better LESS is MORE with this product which means the 15ml pot will last you a while. 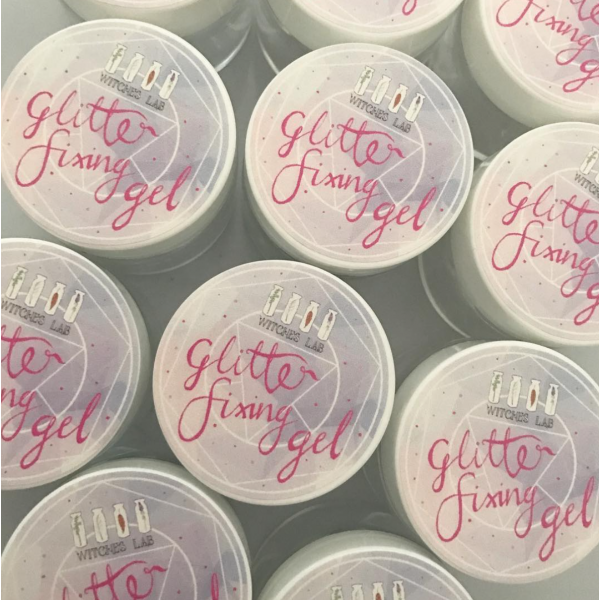 The gel comes in a 15ml heavy glass jar with our signature beautifully illustrated labelling this will look perfect in your makeup kit. Take care to not get the gel in the eyes if you do rinse under cold water. If skin irritation occurs stop using immediately and clean the area if irritation persists see you GP.